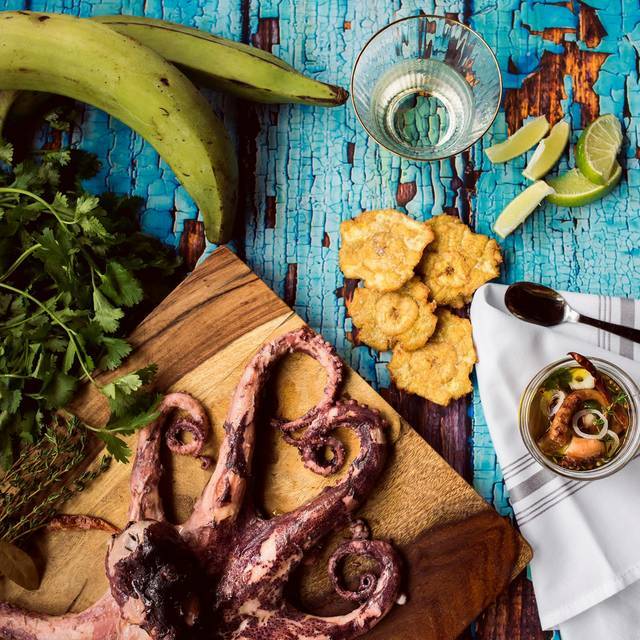 Celebrated Chef Juliana Gonzalez shares her passion for local flavors with a menu that celebrates culinary adventures through the regions of her native “Isla del Encanto”. Breakfast, lunch, cocktails and dinner daily. There is an outdoor bar, and pool service is available. Went to Caña with a group of 4. Excellent service, great ambiance and delicious food. Elevated Caribbean fare. We had Longaniza, Steak, Crab Rice and a watermelon, tomato avocado salad. The food was perfectly cooked and seasoned to perfection. I would certainly dine here again. Amazing food, superb cocktails and super-friendly service made for a perfect evening. Special shout-out to our waiter and the amazing salted caramel dessert he picked out for us. I don't even like sweets and I could have eaten three of those! He also pointed out that everything on the menu is made by or caught/fished/foraged by Puerto Rican producers and artisans, which made the deliciousness that much more special. Our dinner at Caña was excellent. The waitress explained a little of the history of how the meal would be served “family style”. This was how the chef Juliana Gonzalez ate in her house. We were three people. We ordered two appetizers and three main dishes. When the dishes were brought to the table there was an explanation from the staff. Each dish was flavorful with a lovely presentation. The staff was friendly, eager and very polite. Nelson provided great service and was a wonderful server that made my experience at Caña even more memorable. This is high end dining without being fussy. The atmosphere was relaxed; the staff were exceedingly warm. The food was delicious! The mufongo with pork belly and duck brother was incredible, as was the octopus salad and grilled prawns. And don't forget to have the spicy tamarind margarita. Disappointing. The restaurant itself was pretty, the atmosphere cozy and trendy. Food and service poor. Highly Recommended! My first choice to take off-island visitors. We’ve dined at Caña 3 times in the past week, on our own and with guests. Everything we’ve tried has been superb. The snapper preparation was exquisite accompanied by tasty cod fritters and a lovely tomato avocado salad. Other nights we’ve enjoyed delicious churrasco, tuna and octopus appetizers, longaniza sausage with root veggies, all very tasty Puerto Rican dishes with an Asian touch. Can’t recommend it enough! 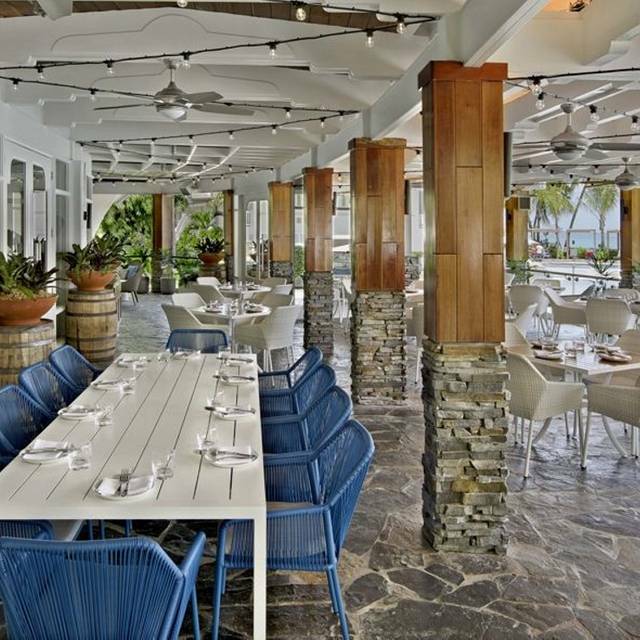 Try the open air patio seating overlooking pool and beach at ESJ hotel. Fabulous! Great food, awesome service! 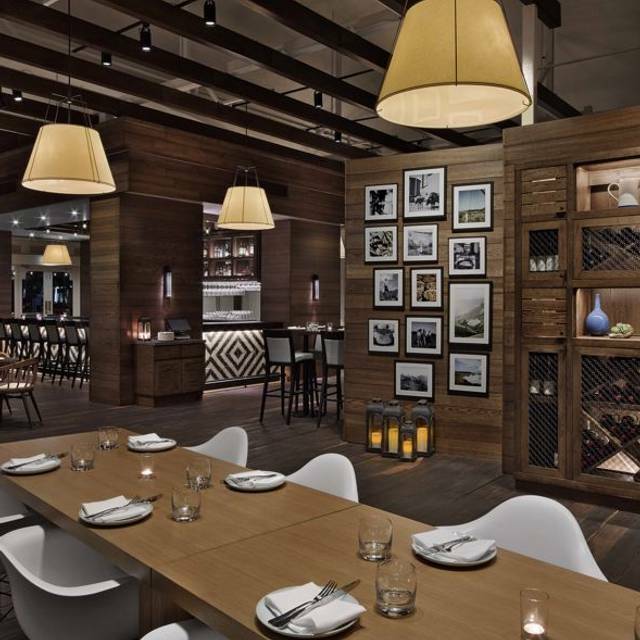 Definitelly a place to try truly Puerto Rican dishes! Bday dinner ... staff, food, service, ambiance is all FABULOUS !!! The food at Caña was delicious and very fresh. The shared plates/tapas format is a great way to enjoy a meal with friends. However, the large plates are very large but not presented in a way that makes sharing easy. We all ended up ordering our own meals and it was way too much food. The Crispy Snapper Salad was disappointing...there was nothing crispy about the snapper! The Crispy Rabbit had good flavor but little meat. Atmosphere and service were very good, some dishes were as well. Overall the dining was inconsistent. Loved the mangu. Had the Local cocktail, which complemented the fried pork. The service was slow compared to how busy the place was. The ambience was beautiful at the outside table. We felt the waitress was very new as she had difficulty answering some of our questions. They have small, medium and large plates, all to be shared so ordering was a little tricky. Tuna Tartare was to die for. Fish of the day was snapper and it was delicious. My husband loved the wine, Josh red blend. For the El San Juan Hotel, the price wasn’t too bad. I would definitely recommend Cana. Since we came in, the treatment we recieved was INCREDIBLE!!!! The hostess, the waitress...EVERYONE. WE LOVED THE MUSIC PLAYING, the thoughtful rose, the food...EVERYTHING!!! Can NOT wait to go again!!! Great Valentine’s Day experience! Excellent restaurant. Our server was extremely competent. Quiet night and not many people seated inside, so we did not have a long wait for service or time between ordering and arrival of food. Heirloom Tomatoes and Avocado Salad was delicious,however, was lacking enough avocado. If I were to order again I would ask that they be more generous with the amount of avocado since that is what is expected when Avocado gets top billing in the description. Steak dish was very good , cooked as requested . The bread pudding dessert was perfect in every way. Moist, tasty and every bite a treat! We will be back! Everything was delicious! My favorite the Pulpo en Escabeche. Wow! We had an amazing experience. Our waitress was very friendly, the food was incredible and we dined outdoors which was very relaxing. Will definitely dine here again on our next trip! It was a friend’s birthday. It came up in conversation with the server, and they brought us out a surprise dessert. It’s quiet night during the week, but it was a beautiful patio out by the pool overlooking the property. Cana Restaurant occupies a renovated space entirely with pool and patio views. 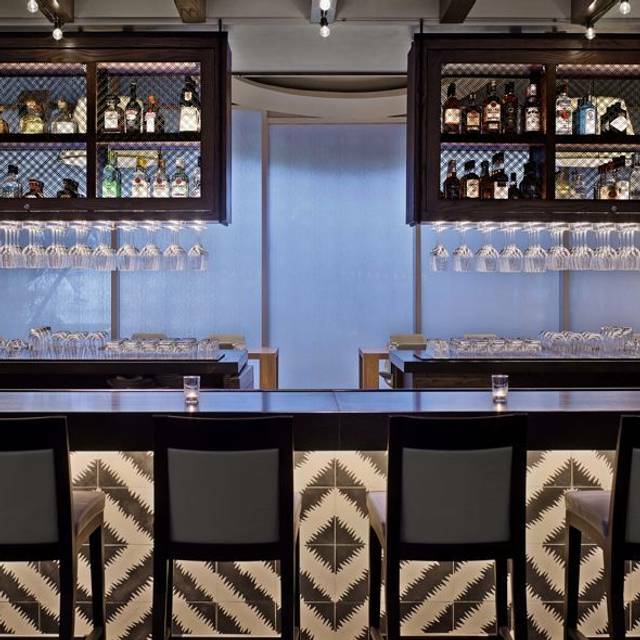 The bar area is beautiful and inviting with a great bartender and robust offerings. After a couple of drinks, we went to our table which is just off the bar in a space that catches the winter breeze and the sights and sounds of the night. We receive our menu’s, and we ask the waiter to explain the offerings to us, and his response was, ”You should order by the prices if small. Price it's small. Portion and big price big piece” You see the menu does not have an appetizer or Tapas section and it's quite confusing to order without a logic arrangement. We ordered to start and Octopus Escabeche with tostones quite tasty, Longaniza that were good, Bernegena dish quite good and Rabbit Chicarron, that was tough and cold. We then ordered a Pidgeon peas rice with a block of porkbelly, that was too large for the plate a smaller or had.the Chef sliced it and arrange it it would have worked better, it didn't. A Churrasco dish that was bland and a Pork Dish that was ok. Overall the service was inattentive and slow, with the waiters aloof and somewhere else. The menu needs to be arranged better and divine, appetizers from main courses or just make it a tapas place. The Chef needs to take a hard look at this to make it work better. We would like to see this improvement to come back. We went there to celebrate my fiance’s birthday and we had an awesome time. Food was amazing, cocktails were on point and the service was outstanding. Our server was Carol and we loved her. She was very talkative and explained her favorite choices on the menu. Staff was friendly and knowledgeable. Food was great. Waiters should pay more attention to detail. The place just reopened after all the renovations and the repairs after Hurricane Maria, and the Hotel lobby, usually very busy, was nearly deserted. The restaurant was almost empty too. The service was almost personal. Excellent. Maybe because the place was not busy at all, but the previous time we came here the service was very good too. The food is excellent. The portions are generous; the purpose is to encourage sharing, tapas-style. We had the crispy snapper salad: refreshing and flavorful. Excellent. Also had the smoked sausage with taro purée: well cooked, very flavorful and the taro purée was beyond excellent. The pigeon pea and pork belly rice was also incredible. For dessert we had the best flan I have ever tasted. Coconut and caramel custard with toasted coconut. Heaven on earth. Food was pretty tasty, with some interesting takes on Puerto Rican dishes. We liked the tomato and watermelon salad and octopus especially. The ambiance was very pleasant, with a mix of outdoor and indoor seating overlooking the well manicured hotel grounds. Service was quite poor, as it took 30 minutes to get our waiter to take the order, despite numerous request. (There were also some less prominent shortcomings during the meal that followed). Staff apologized profusely for the exceptionally long wait, but didn’t offer any compensatory dish, as might be expected. Great food and tremendous service. Pretty expensive, trendy. Ehhhhh. Limited menu. Not great not bad. It was Christmas Day, so slower than usual. The room, the food, and the service were all outstanding. We were encouraged to share, so we sampled a bunch of unique options and some traditional Puerto Rican dishes. Rice w/blue crab and pork terrine (we told them “terrine” didn’t do the dish justice) were favorites, but the roast chicken, shrimp over rice, and mafongo were also excellent. Among the best meals I’ve had in Puerto Rico. The food is great. Everything was fresh and delightfully prepared. Service was attentive and helpful. Most of the dishes are meant to be shared and, compared to other local restaurants, the portions are not huge. One of our dishes would not have been enough for a larger appetite. This is definitely fine dining. Their concept of sharing food is wrong. Certain orders should be served with the appropriate side dish at the same time. Loved the vibe but food was very salty and over seasoned. Good flan. Enjoyed the food. The service was amazing and the ambiance ad well. The dinner we had was AMAZING. Local favorite dishes but prepared exquisitely. The menu was smart and fun. The service was excellent. The restaurant itself is beautiful. Try the pulpo. The tomato and avocado salad. The fish of the day. The vianda. The morcilla. It was about $65 / person with appetizer, entree, drinks and dessert. And it was absolutely worth it for the quality of the experience. Will definitely return. Surprisingly delicious! 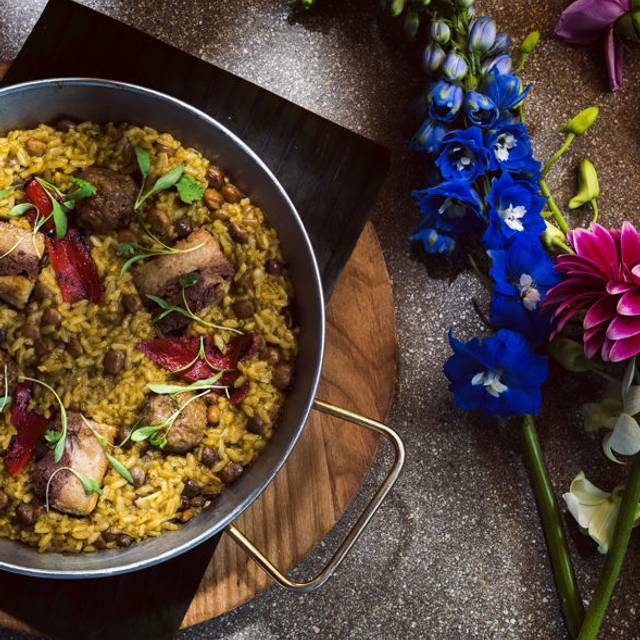 A very gourmet & creative take on Puerto Rican food. Highly recommend the octopus, pork and churrasco. Beautifully decorated and top notch service.